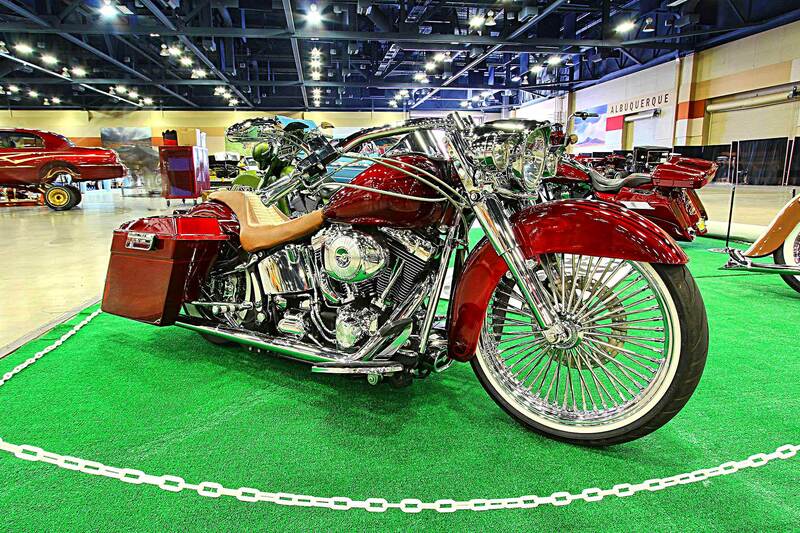 The Classic Candy and Chrome Spoke Two-Wheelers are Taking Over! 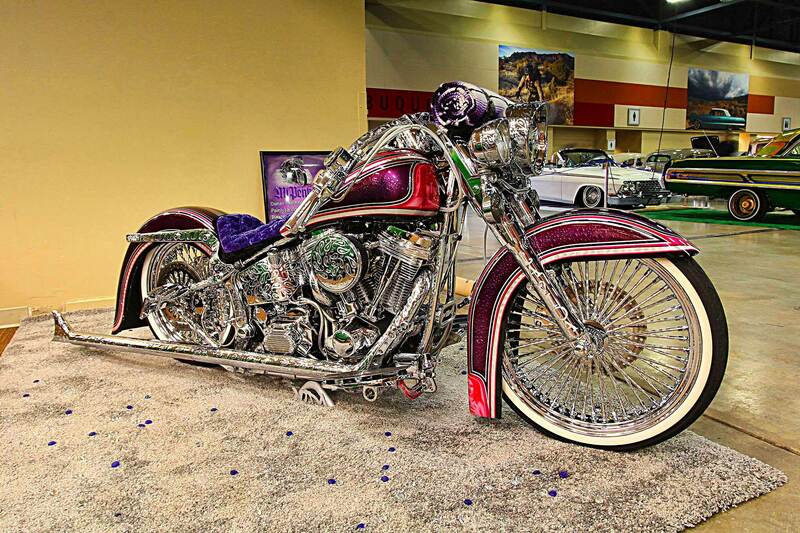 Shaved custom-painted gas tanks and molded fenders, fish tailpipes, and a set of whitewall tires on wire wheels with no limits of chrome accessories defines the loud rumble that’s being heard from all over the place. 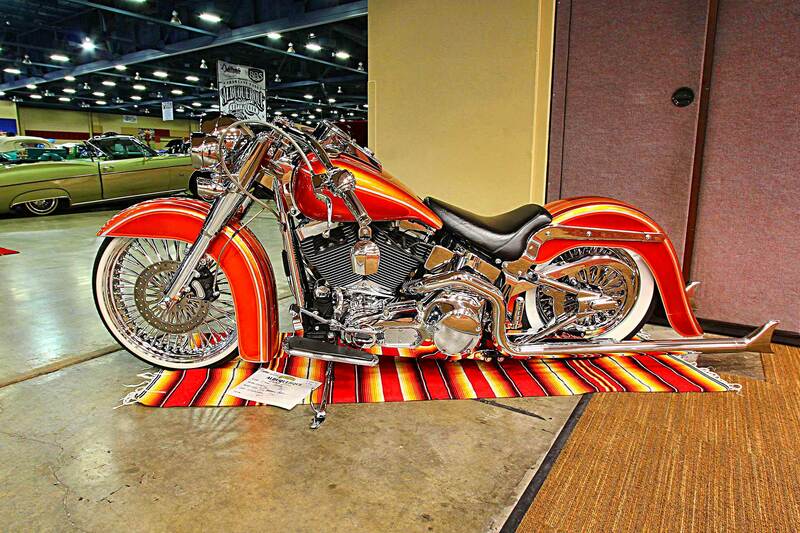 The lowrider-styled Harleys have become ever so popular and have taken over the scenes in California, Arizona, and Texas and it’s also enchanted many of riders New Mexico. 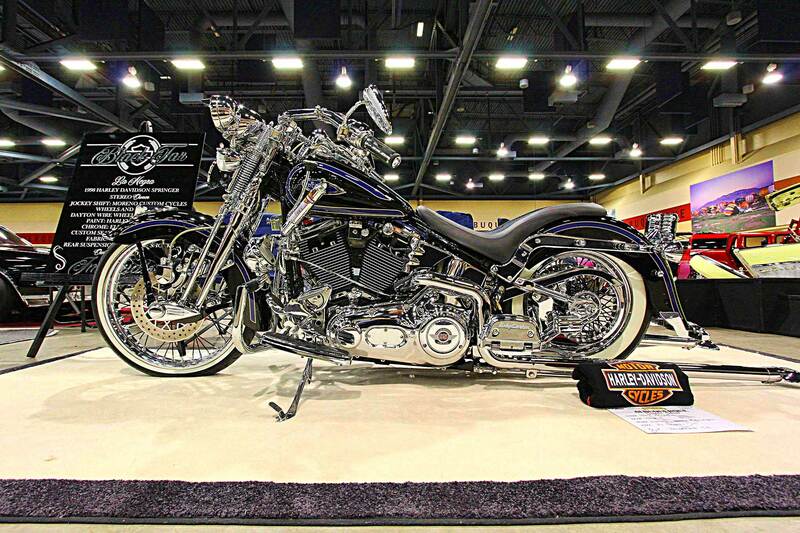 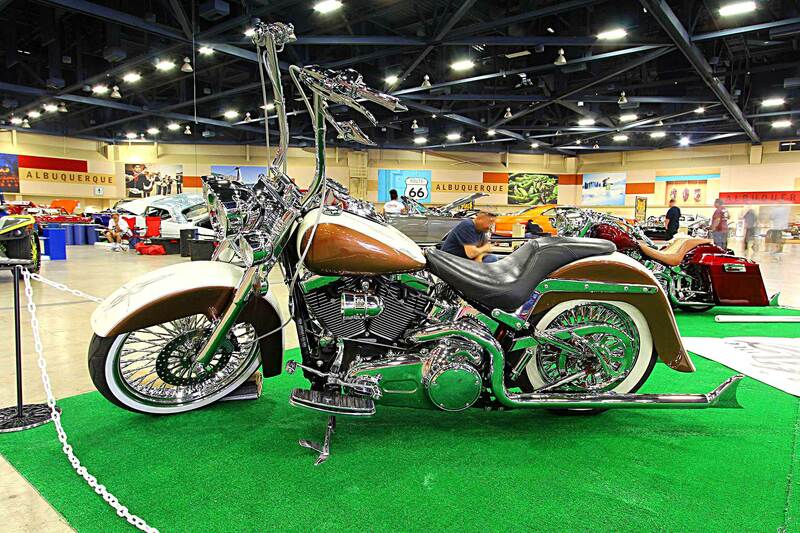 There are no limits of customized imagination for lowrider bikers when it comes to their bikes. 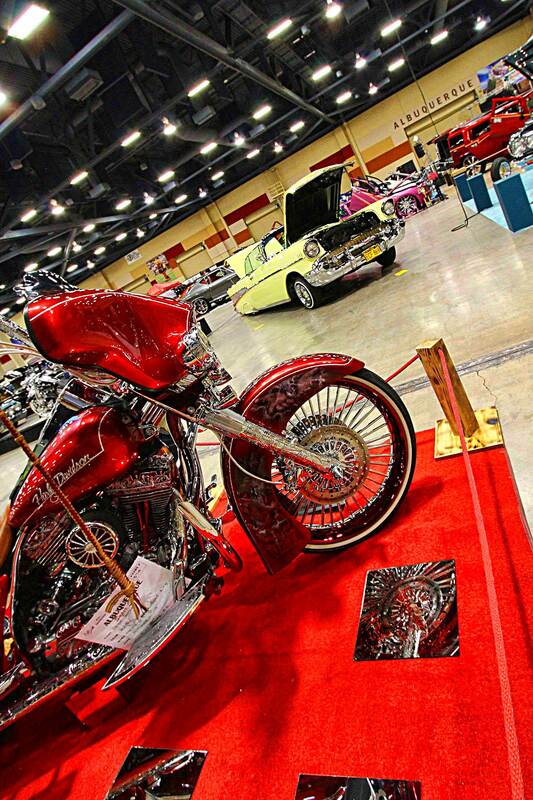 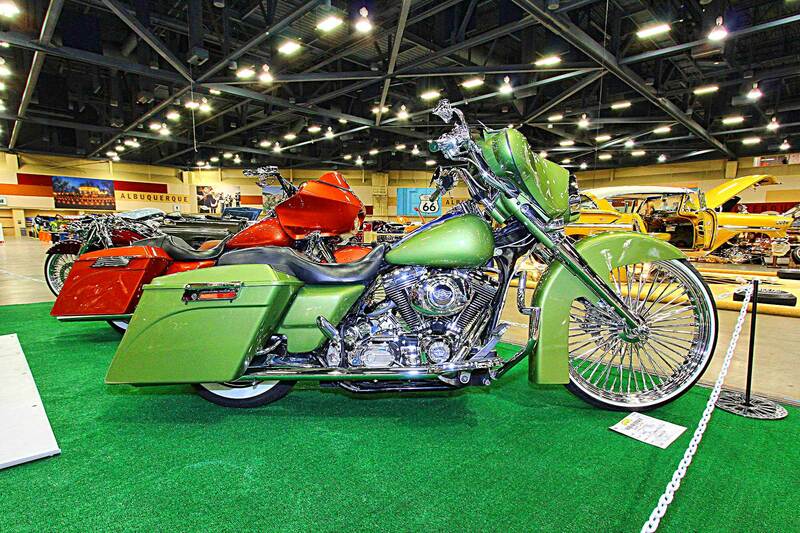 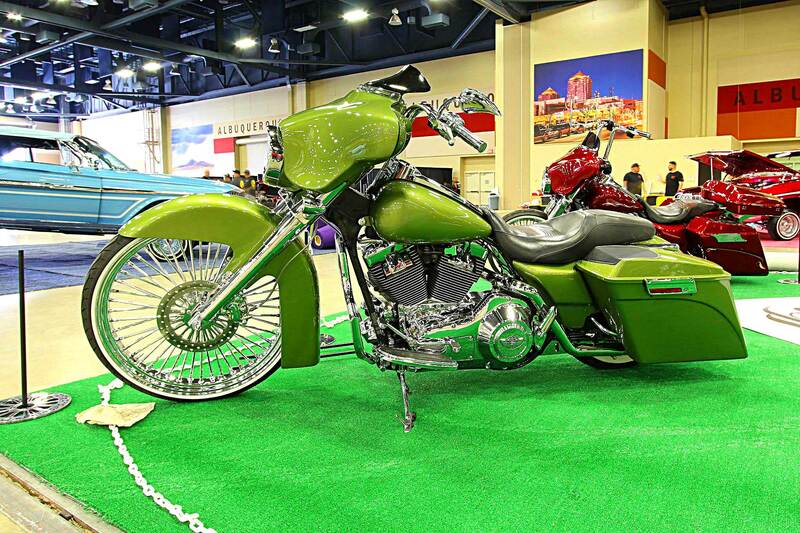 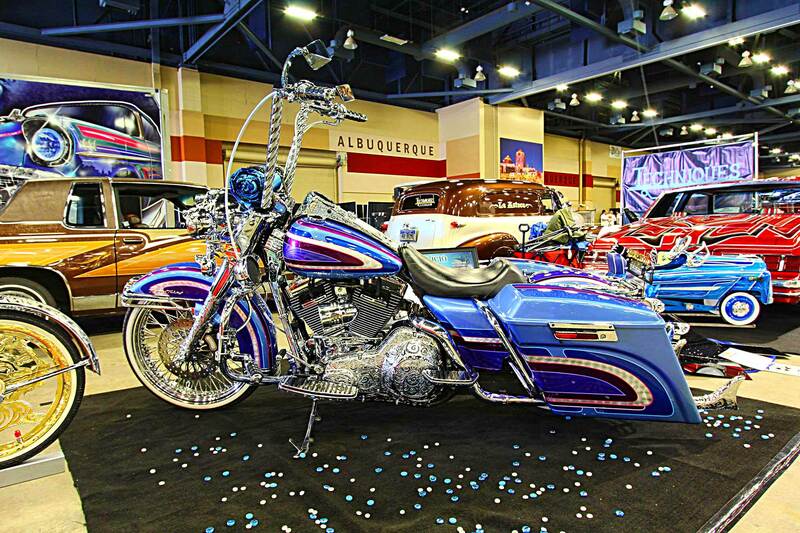 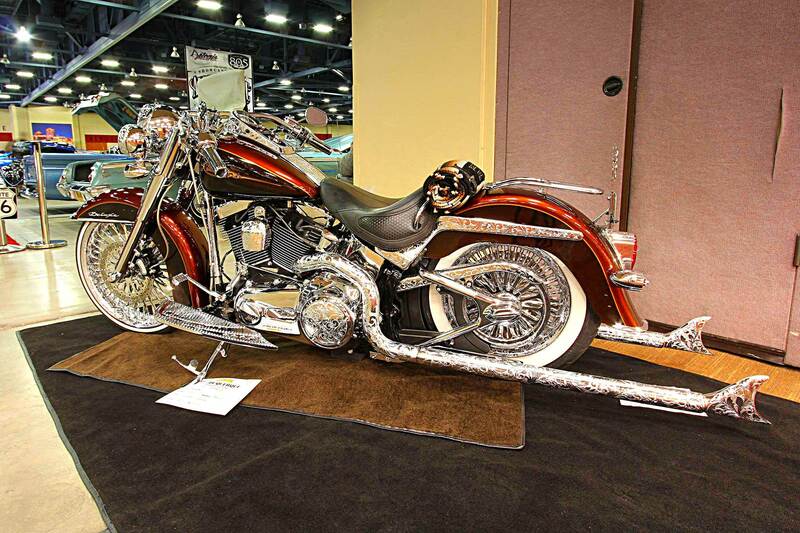 Downtown Albuquerque had their share of these full-custom one-off two-wheeled creations with their kickstands down and displayed at the convention center’s Super Show, held a weekend or so ago. 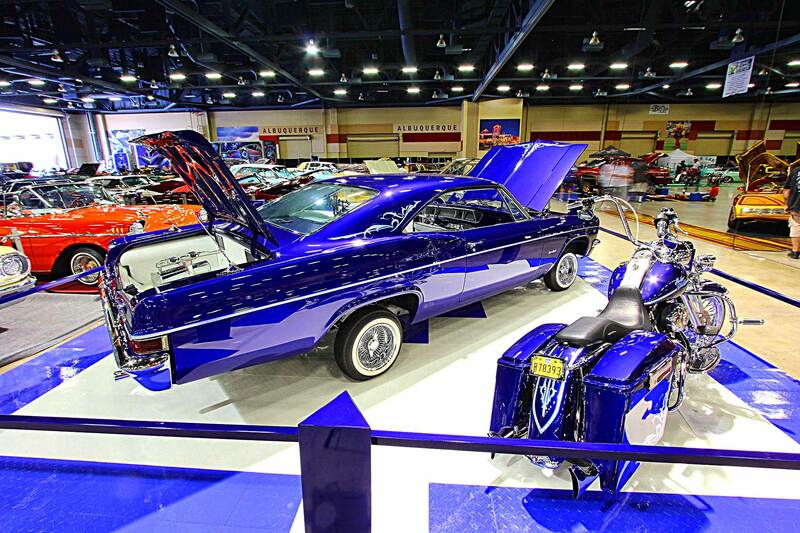 Airbag systems lower them to their fenders and the chrome pipes touch the ground just like their counterpart Impalas do displayed just on the other side of the aisle. 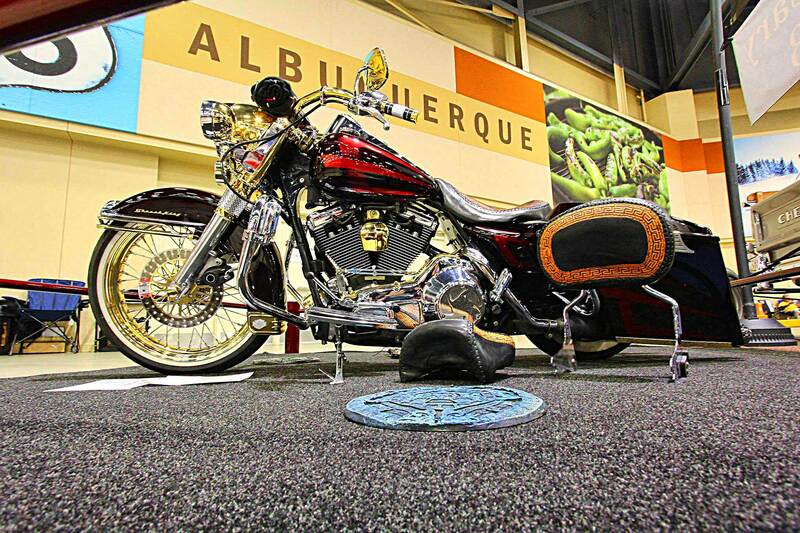 If you don’t think this “Ape Hanging” or “Beach Bar” phenomenon has arrived a long time ago, then get a grip and check out Albuquerque’s situation!